Steve has been involved in the arts since studying Graphic Design and Painting in college. His love of clay continued through college, apprenticing at the pottery studio at Silver Dollar City in Branson Missouri with Harvey Bufford. 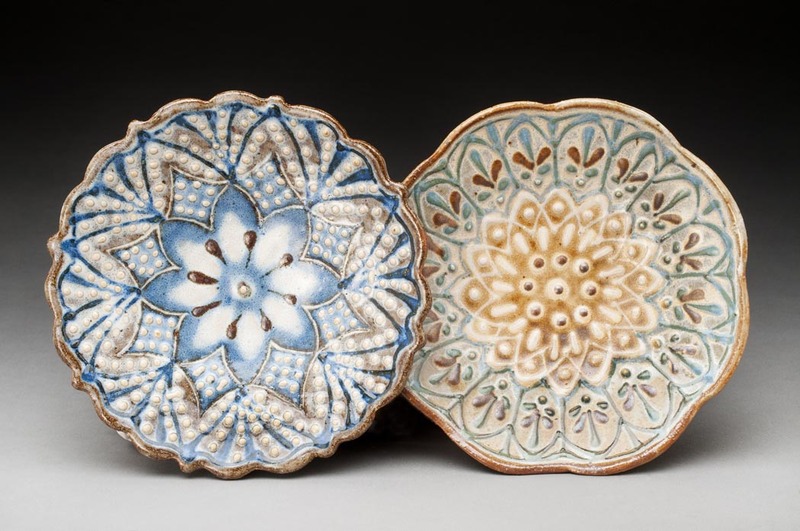 Since 1987 he and Maureen have been operating their studio on the grounds of Strawbery Banke Museum where his teaching skills excel in daily demonstrations to museum visitors while developing his own pottery style. Continuing in the slip trailing traditions, Steve has developed a line of stoneware work that bridges Old World traditions with a contemporary sensibility. His functional and decorative forms have an elegant calligraphic style that is uniquely his own. From stately urns to serving platters, his inspirations come from a melding of cultures and a personal design aesthetic to create work that is beautiful to use and to look at.